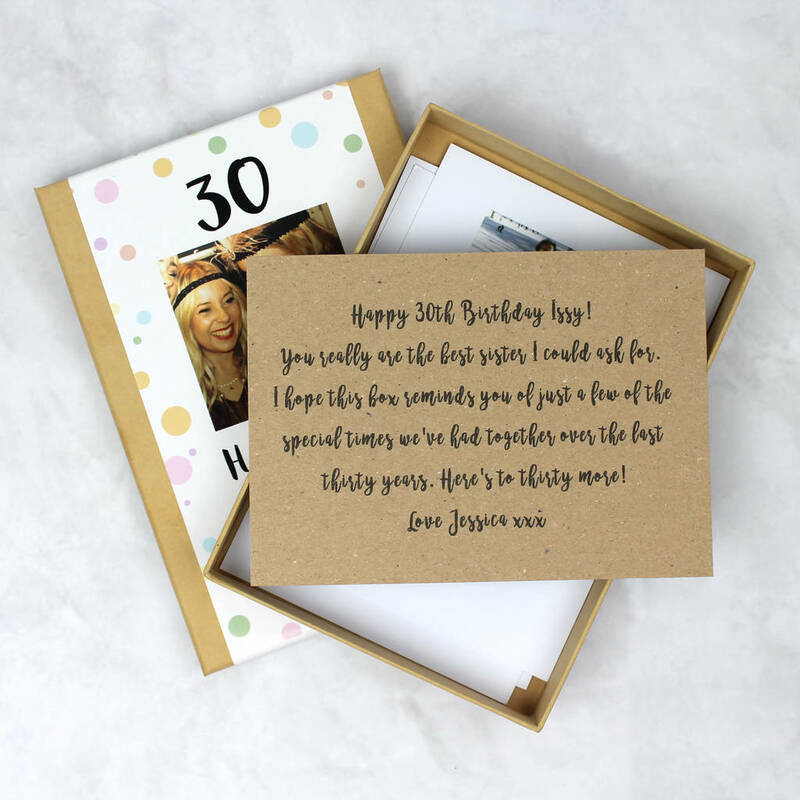 This personalised photo birthday gift box is a great way to document your memories with your loved one on their birthday. Full of personalised photos to remember those milestone moments you have shared together, this makes a truly thoughtful gift for your loved one on their birthday. 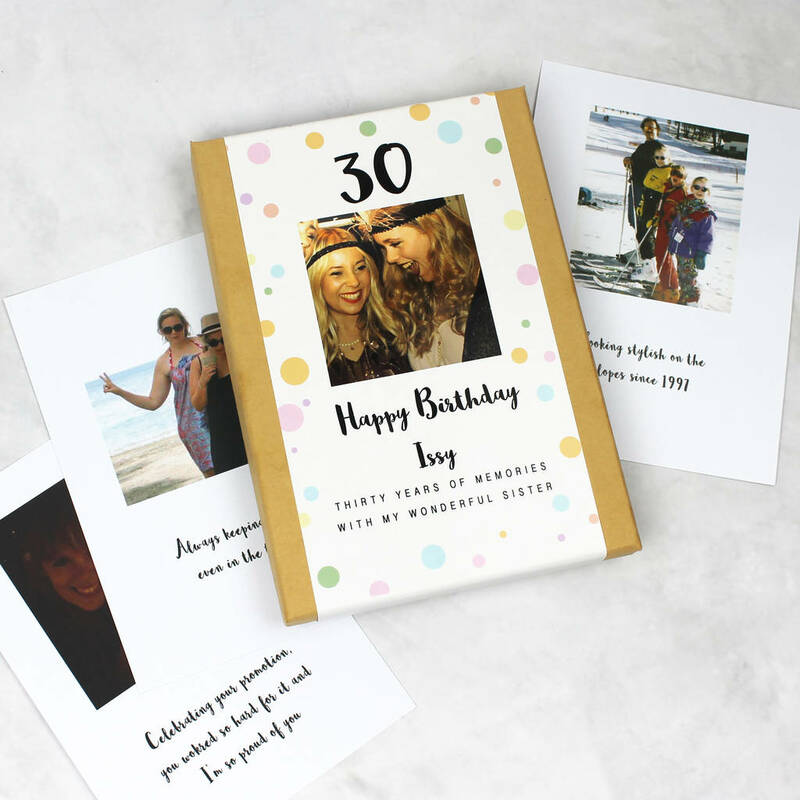 Each box contains up to 15 photographs with a personalised caption printed below. 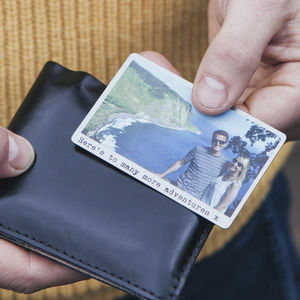 For example this could be a photo of you and your sister from each year of your life, or a collection of photos from a really special trip you have taken together. The box comes with a personalised label on the front with a photo of your choosing. We will print their age, followed by 'Happy Birthday' and their name. 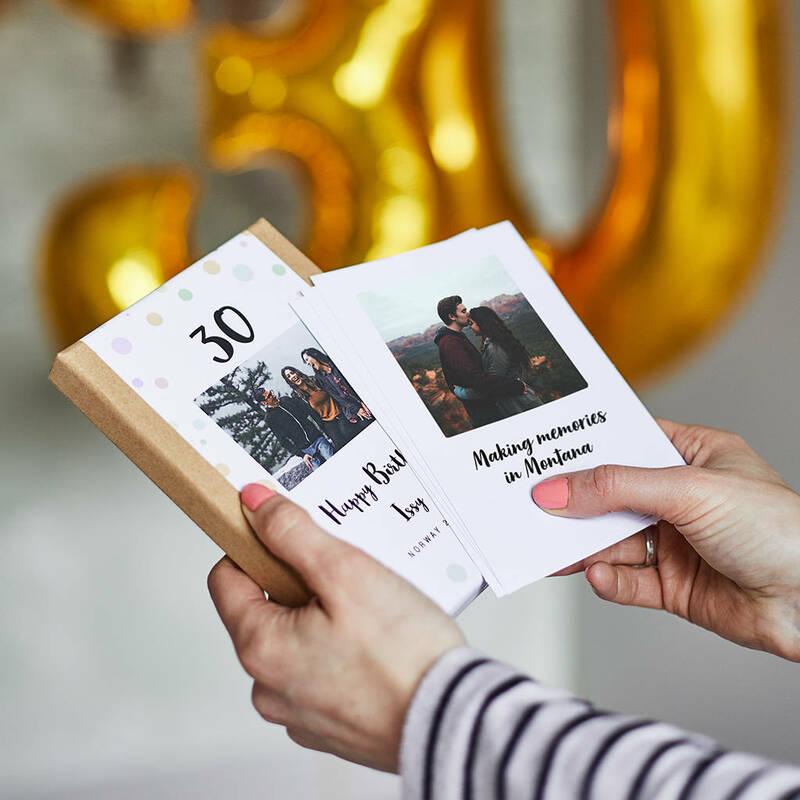 You can also add a personalised message for the outer label such as 'memories from the past 30 years'. 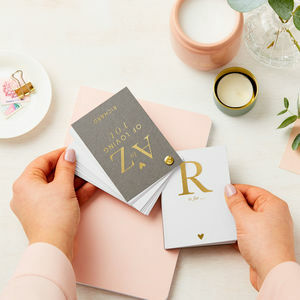 You can also choose to add an internal gift message which will be printed on kraft paper, and placed inside the box on top of the photos. To order your box simply fill in the information in the dropdown menus. Once we receive your order we will contact you within 24 hours (excluding Saturdays and Sundays) to let you know how to send us your photos. 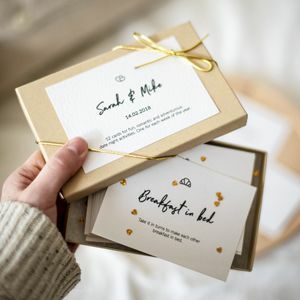 Two piece luxury presentation gift box, photos printed on heavy duty photographic paper. The finished product is packaged to ensure it will fit through a standard letterbox. This product is dispatched to you by Beija Flor Studio.